Doom, Quantum Break, Dark Souls III and much more. June-July is a great period to game. First, we had Steam Summer Sale and now, Microsoft’s Ultimate Game Sale. The sale begins today, July 5, and shall run till July 11. There are over 250 deals available with up to 60% discount. 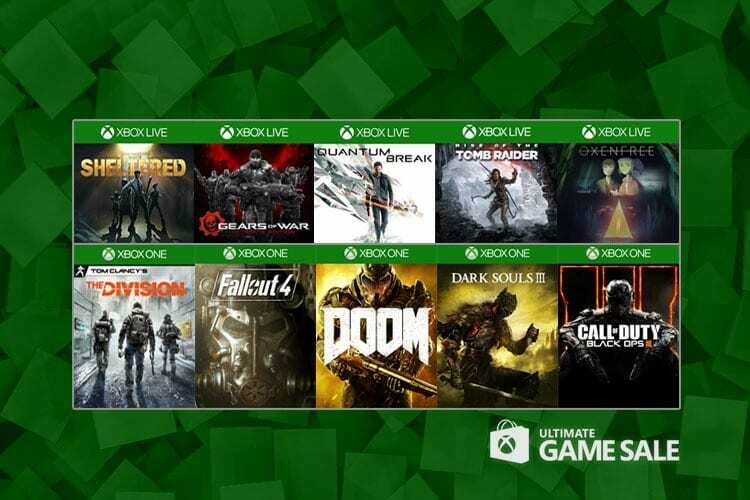 Moreover, Xbox Live Gold Members can save up to 10% more. Along with Xbox One, Xbox 360 and Windows 10 PC Games, Microsoft has set up discounts on Xbox One consoles as well. You can now get an Xbox One for either $279 or $299 from the sale. To check out complete listings of the deals, visit Major Nelson’s blog. There you can find more information on Xbox 360 games you can play on Xbox One through Backwards compatibility.